This past weekend I joined some friends on a road trip down to Palm Springs for Labor Day. It was a looooonnng drive, but totally worth it once we got to dive into that beautiful pool. 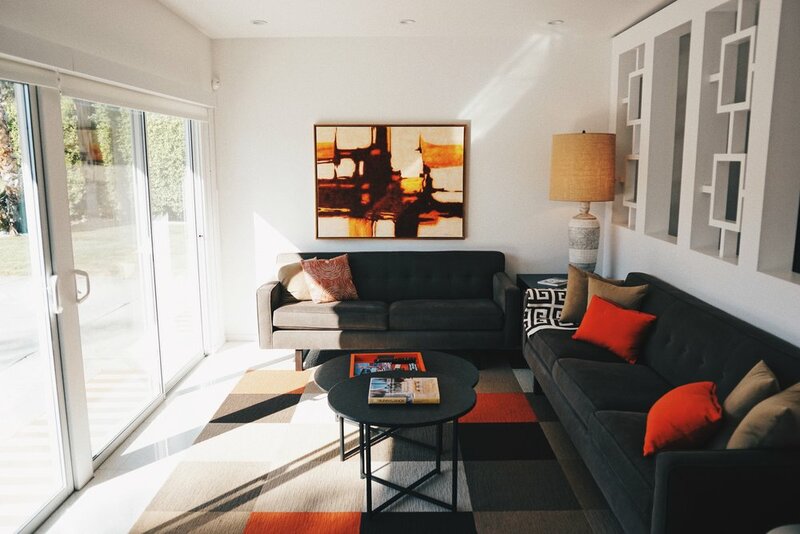 I’ve gone to Palm Springs a few times now, and it is quickly becoming one of my favorite sunny getaways. 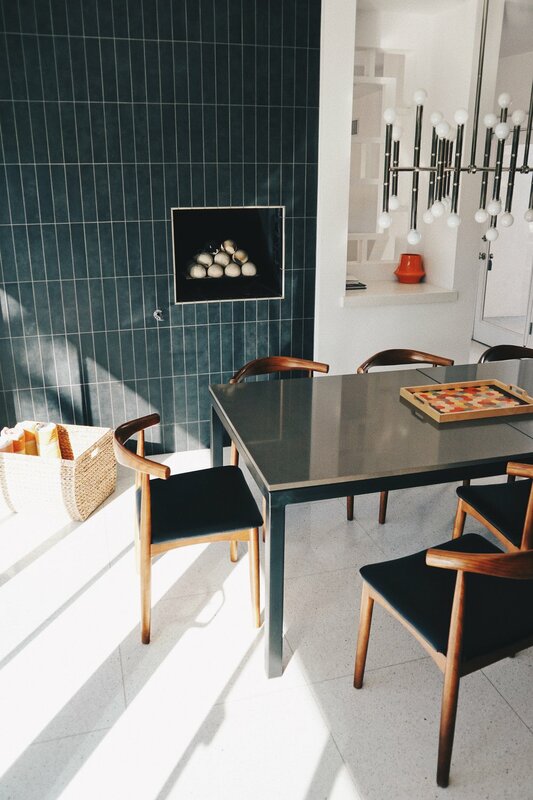 It is like a 1960’s time capsule, filled with Mid Century homes, classic cars, and all the sunny pool vibes you could imagine. We rented the most beautiful home for the weekend, with a huge backyard and beautiful pool. One thing I love about Palm Springs is that there really isn’t much to do except sit by the pool, drink cocktails and have a great time with your friends. 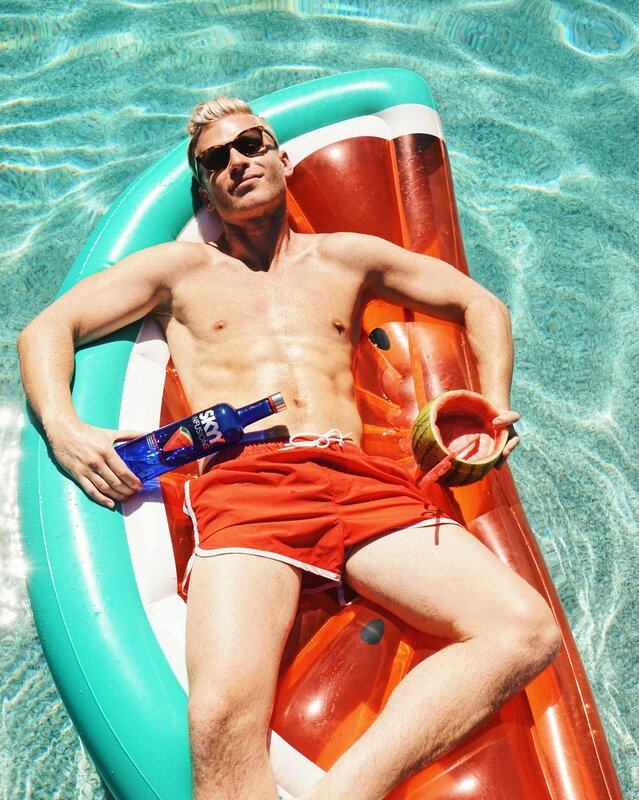 For that reason, I reached out to my friends at SKYY Vodka to help me put together the perfect summer themed weekend escape. 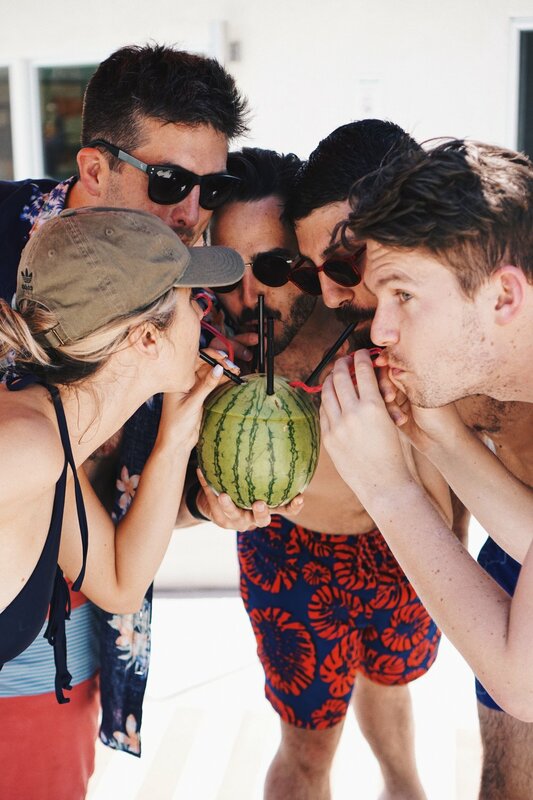 SKYY was amazing and sent over a whole goodie bag full of awesome watermelon fun; including SKYY Infusions Sun-Ripened Watermelon vodka, floaties, outdoor cups, an adorable watermelon beach bag and blanket. First off, you’ll want to cut open and carve out your baby seedless watermelon, placing all the watermelon into a blender. You’ll then want to muddle your mint, simple syrup and lime juice in a cocktail shaker. Then strain your muddled mixture into your blender, and add your SKYY Infusions Sun-Ripened Watermelon vodka. 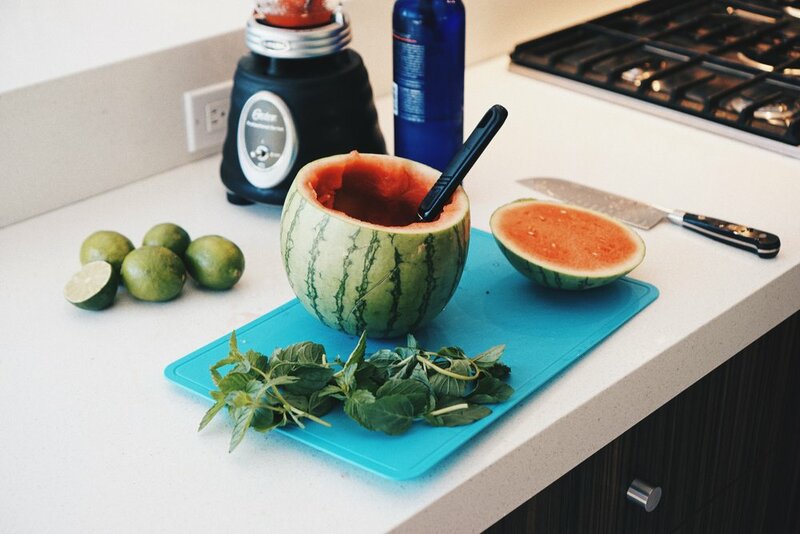 Add one cup of ice and blend the watermelon until it is a nice puree. Pour the cocktail into some cute outdoor glasses, or even better, pour it back into the carved out baby watermelon and add some curly straws. It’s always best to avoid using glass when around a pool. And that’s it! 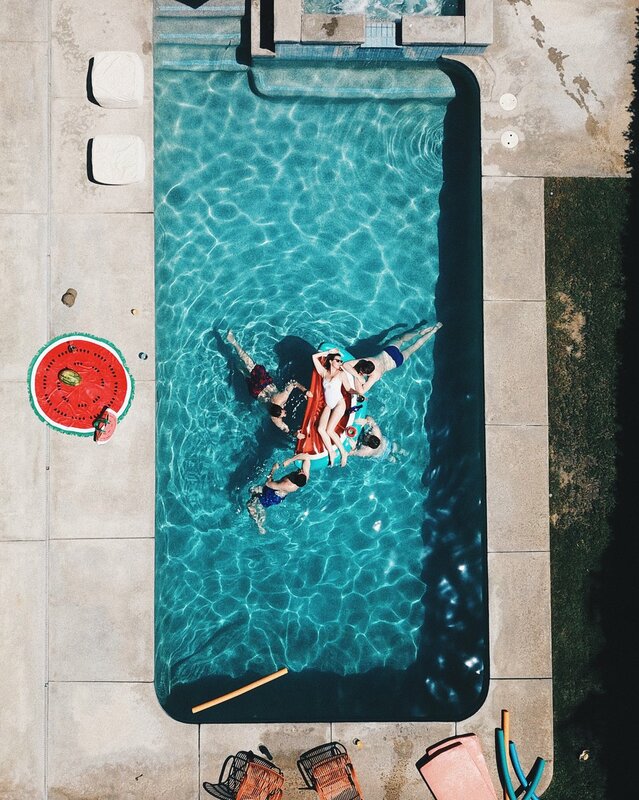 All you have to do then is relax by your pool and have a great time with your friends. Also! if you’re looking for your own awesome pool party, you should definitely check out the party SKYY is throwing next weekend at Phoenix Hotel in San Francisco. Check out the invite below. Tickets are available to purchase via Eventbrite for $15. All ticket proceeds will benefit SF-Marin Food Bank. Thank you all for reading. Leave me a comment if you try my Watermelon cocktail recipe. I guarantee you’ll love it!